The Dunlop Revolution NT hybrid tennis string offers a unique REV NT coating to prevent loss of string tension and provide consistent performance. This monofil polyester premium string ensures excellent touch and control thanks to a yellow cross string, as well as impressive spin and power due to a black main string. It is supplied as a 12m (39.4ft) set. 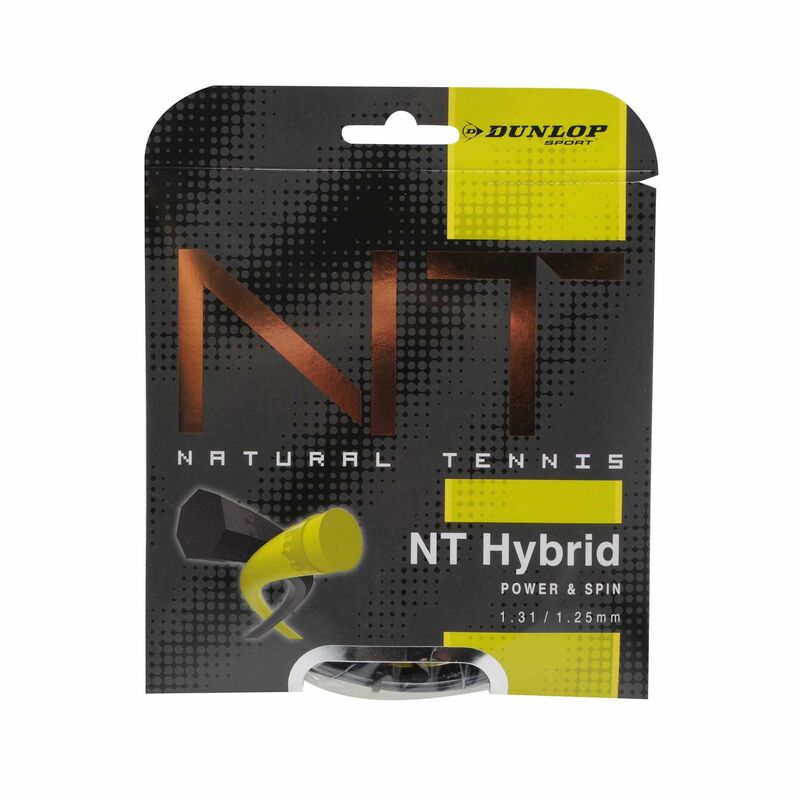 for submitting product information about Dunlop Revolution NT Hybrid Tennis String Set We aim to answer all questions within 2-3 days. for submitting product information about Dunlop Revolution NT Hybrid Tennis String Set. We aim to answer all questions within 2-3 days. If you provided your name and email address, we will email you as soon as the answer is published. 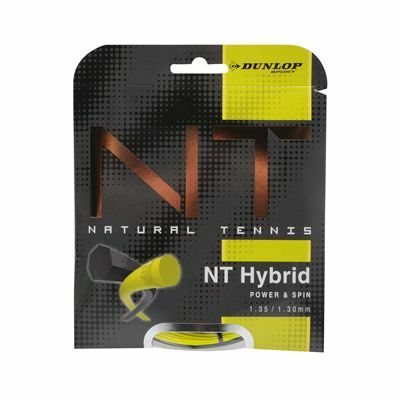 for submitting product review about Dunlop Revolution NT Hybrid Tennis String Set.